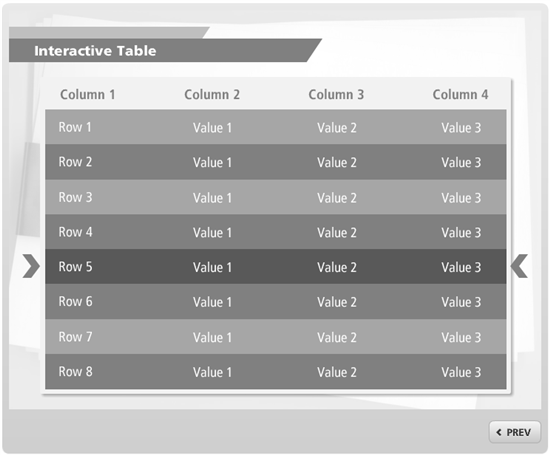 Over the past few weeks I have shared a few interactive table templates! Today I'd like to add another post to that series and share with you guys this simple template that I've created in Storyline. The background image is a great freebie I came across online, to which I added a transparent effect to the image to give it the faded look. As my regular readers will know, I love using the faded photo look because this helps the images an text overlaid on top of my background to stand out more. The interactive table was created simply by using rectangular shapes and text. I used a large rectangle to create the background for my table. I then used long, skinny rectangles to create my rows, and added text boxes over top. I created a hover effect for the row rectangle, then copy/pasted all of my rows to create the table. I then alternated the colors of the rows to give the rows more distinction. 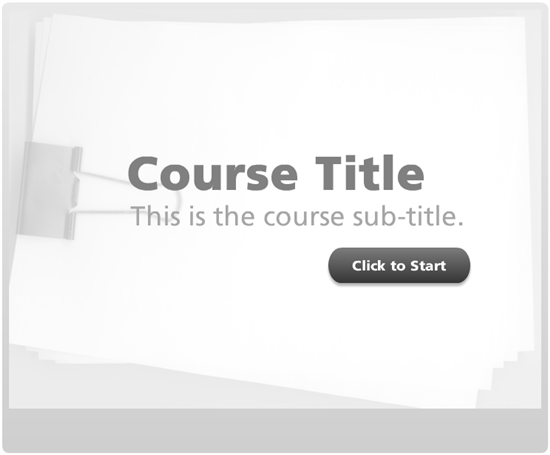 You can view the published version here: E-Learning Template with Interactive Tables, and you can download the files here. 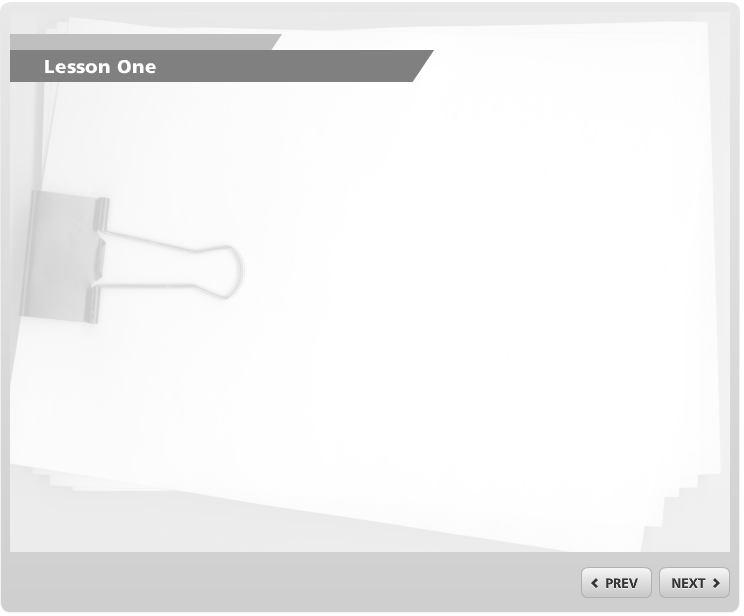 That's how easy and simple it can be to add interactivity to your e-learning projects. If you have your own examples of interactive tables, or any kind of interactive content, please share it with the community. We love to see your work! Don't forget, if you want more e-learning tips, you can follow us on Twitter!